My functional stapler on the left and Ron's "pretty" stapler on the right. Ron has issues with his pretty stapler now, maybe because it’s old, maybe because it’s “pretty”, who knows. 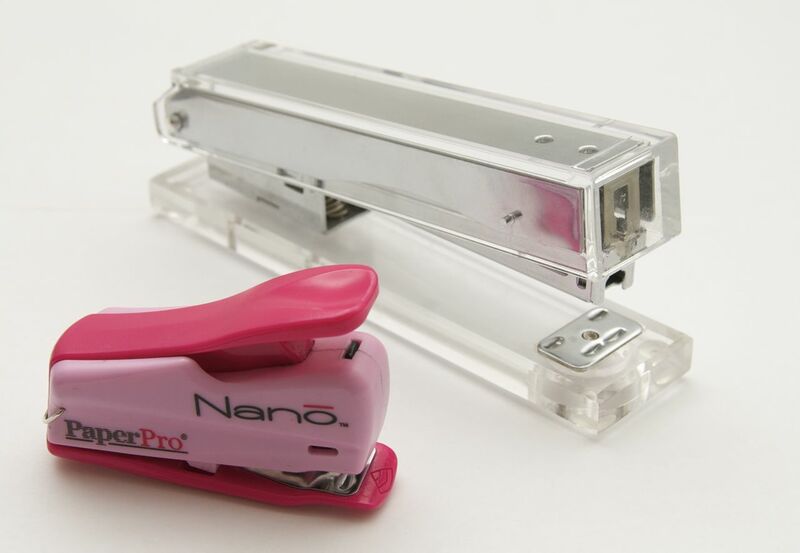 So when there is a stapler “incident” I laugh at him and ask him if he wants to use the fun, air powered, pink one. He just makes a face at me and tries to use his stapler, and I still laugh. Lucky enough for me this happens at least once a week and this will probably continue for years to come. Oh yes, it’s silly but it’s not always about cake. I love your picture, by the way of the two staplers. For a split second I thought they were made of sugar and was totally blown away! ← My official title is “Operations Etc…” What the heck does that mean?